I should have written this report some time ago, when details were a bit sharper than now. (Hopefully, someone will appreciate the photos, if nothing else.) This was a fun trip. It consisted mostly of day hikes over a period of 7 days or so. I had no time restrictions and no deadlines. I traveled alone at my own pace, just as Muir would have done a long, long time ago. As I get older, I appreciate this style more and more. 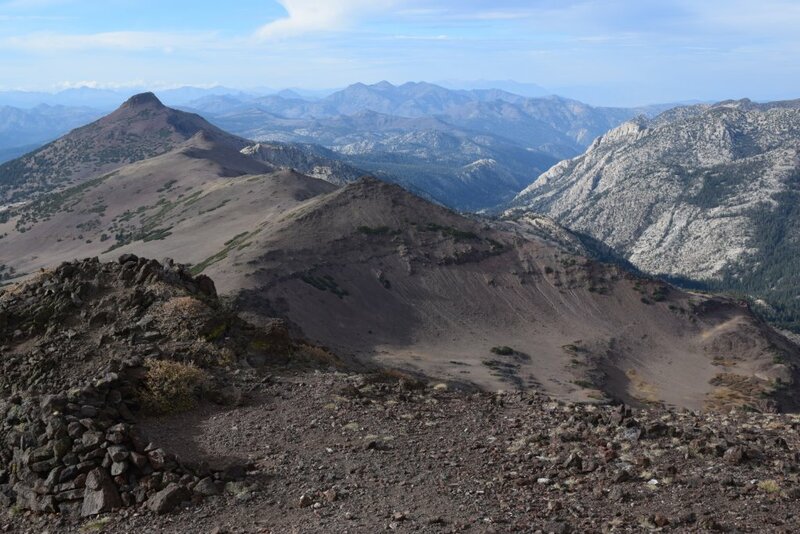 Oct. 16 Climbed windswept Leavitt Peak from Sonora Pass via the PCT heading southbound. Pleasant temperatures in the 40's/50's. On the way up the trail I caught up with a lone climber heading to the same destination, Rod McCalley. Some of you PCS'ers know Rod. On the way back I choose to shave a little distance on a steep off trail downclimb so Rod and I both skidded our way back to our vehicles at the pass, probably saving little or no time in the process. (Rod was gracious, he didn't complain at all). 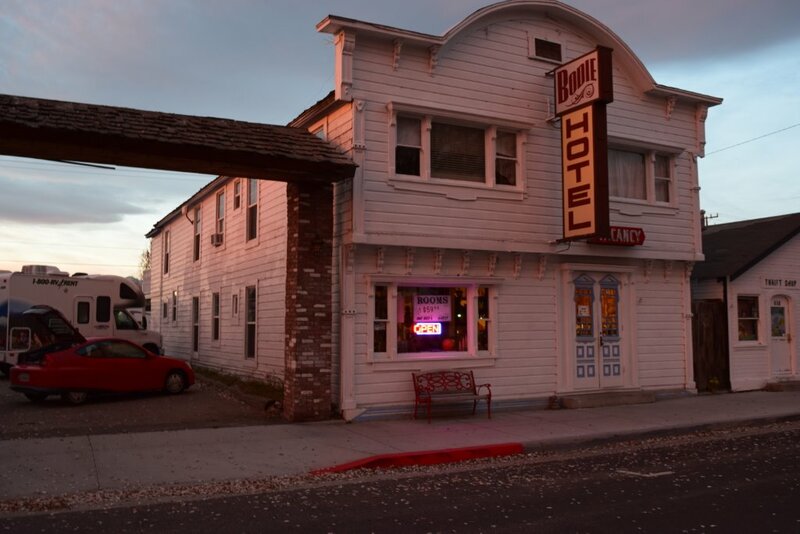 We said our good-byes, as he was headed to a chess tournament in Reno while I headed back to the Bodie Hotel in Bridgeport for the night, which had caught my eye on the way up Hwy. 395 the day before. 0ct. 17 Cloudy, mild temps., headed back up north to Sonora Pass. Went north over St. Mary's Pass, then over some very beautiful open spaces, and on to Stanislaus Peak (elev. 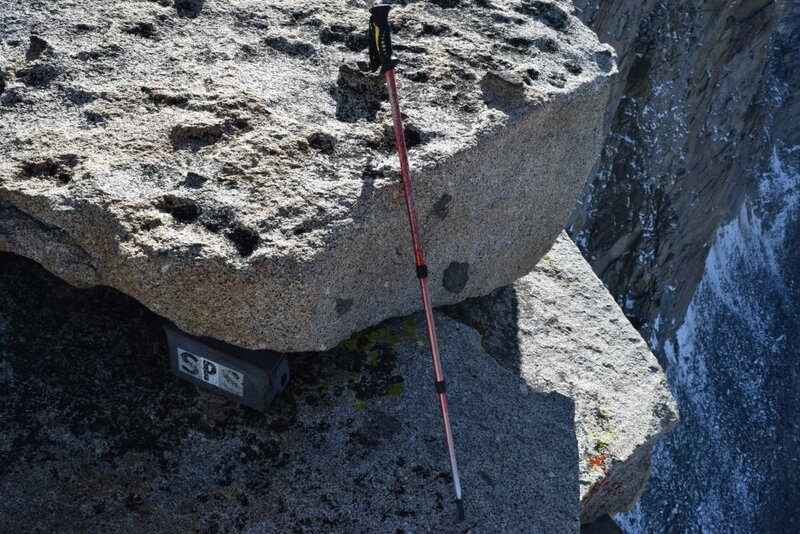 11,204), (no summit register). On the way back, made a side trip to Sonora Peak (el. 11, 455) from St. Mary's Pass on a very well kept trail. 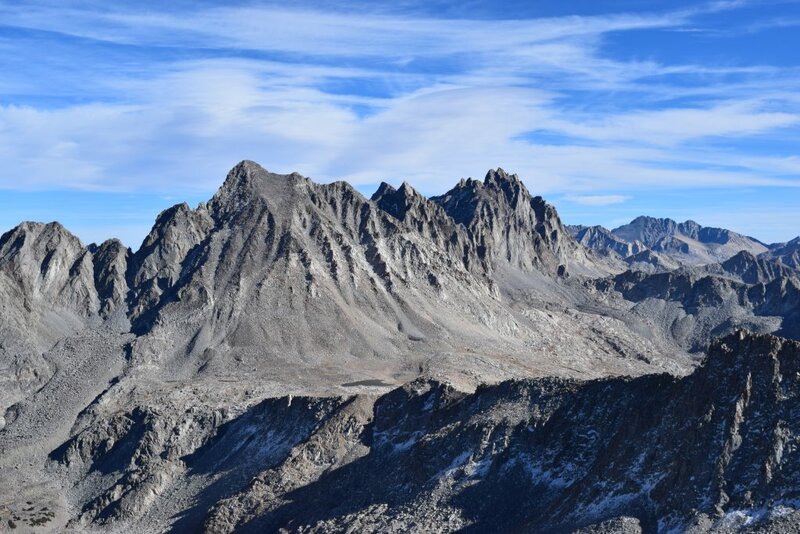 (Outstanding views from the top, Sonora Peak would make a nice addition to the SPS list, in my opinion anyway.) Drove north to Carson City afterwards. Oct. 18 Maintenance work done on my car. Rest day in Carson City. 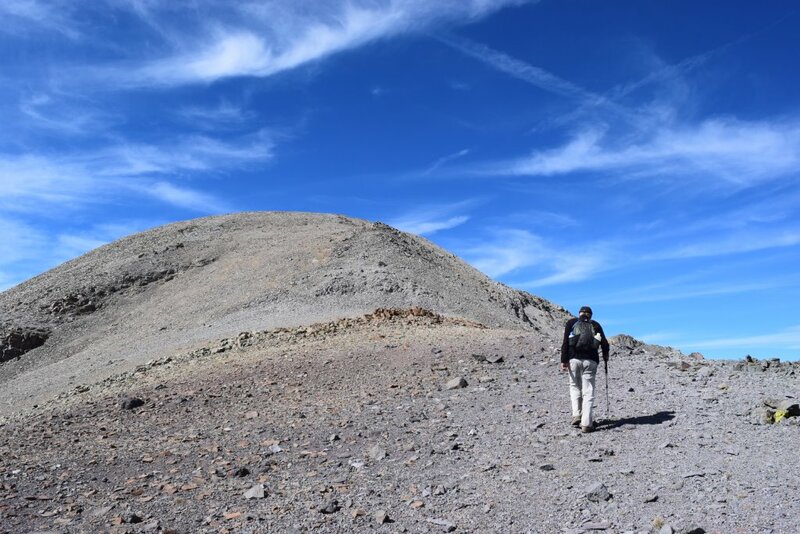 Oct. 19 Drove south to Carson Pass and climbed Roundtop via the west ridge (class 3) and then a walk up over to "The Sisters" on the descent. The initial downclimb off the higher eastern summit of Roundtop was a bit precarious. Although handholds and footholds are abundant, the rock is fractured and untrustworthy. Windy and clear on both summits, 30-35 mph. Oct. 20 and 21 were travel days with no climbing involved. 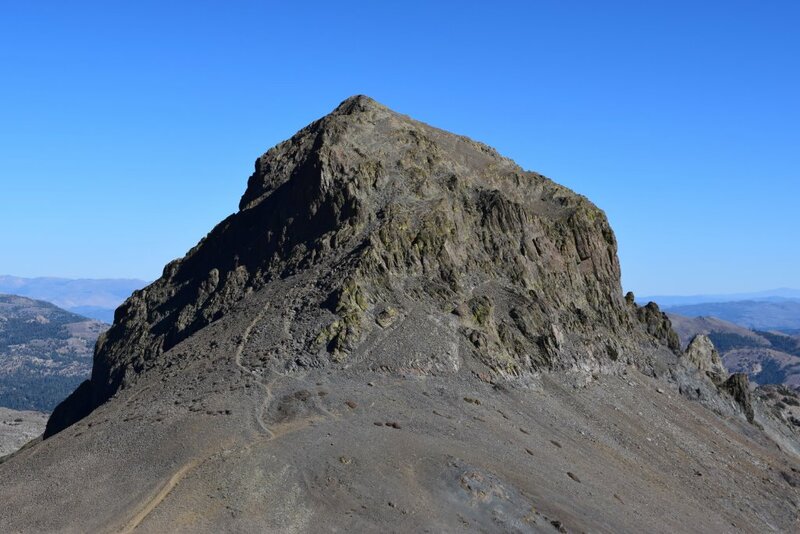 Oct. 22 Climbed Mt. Goode from South Lake on a day hike from Bishop. The lake was horribly dry. The views of the Palisades from the summit were absolutely fantastic.